State Senator José Menéndez is Texas State Senator serving District 26 since 2015. The son of immigrants, José Menéndez grew up working at his family’s small business located in San Antonio's West Side. During his term in office, Menéndez passed over 200 bills that benefited children, seniors, veterans, and San Antonio families. One of the bills, David's Law, empowers students, parents, schools, and law enforcement to combat and prevent cyberbullying. Senator Menéndez is also a strong advocate for job growth, community and business development. Along with his successful legislation, Senator Menéndez has secured millions of dollars for advancements in education, healthcare, parks, and additional funding developments, including $17 million for the Alamo Colleges. Senator Menéndez began his public service career in 1997 when he was elected to the San Antonio City Council District 6 office, representing the city’s West Side. He was then elected to serve as State Representative for House District 124 in 2000. He was later entrusted with an appointment to the powerful Appropriations Committee where he secured millions of dollars for various crucial San Antonio initiatives. In his final session serving in the House, Menéndez was appointed Chairman of the House Committee on Defense and Veterans’ Affairs where he secured one of the state’s largest mental health programs for Veterans. Senator Menéndez has distinguished himself as a commonsense problem solver, able to work with colleagues on all sides to serve the needs of Texas families. He has continued to remain committed to improving the state’s public education system, utilities and energy infrastructure, as well as housing and economic development. Senator Menéndez received the esteemed 'Texas Municipal League Legislator of the Year Award' in 2017 which honors his outstanding efforts to empower Texans to make decisions affecting their local communities. 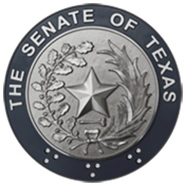 Among his many distinguished honors, Menéndez is also the proud recipient of the Nation's Mothers Against Drunk Driving (MADD) '2017 Legislator of the Year' award; 'Leaders in Improving Mental Health Care' from the Center for Health Care Services; Texas Parent Teacher Association's (PTA) 'Legislative Honor Roll'; and 'Senator of the Year' from the Combined Law Enforcement Association of Texas (CLEAT). 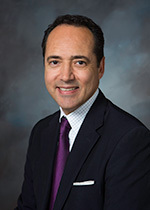 Senator Menéndez graduated from Central Catholic High School before earning degrees in Business Administration and Latin American Studies at Southern Methodist University. He has been married to his best friend Cehlia Newman-Menéndez since 1995. They have three children, Dominic, Victoria, and Austin. As a father, husband and lifelong Texan, Senator Menéndez is extremely grateful to be able to serve the people of District 26 and the state of Texas.